This church was founded soon after the Civil War by 50 Freedpeople, who held their first services in a stable donated to them by S. A. Rigby. In 1869 the church trustees bought a half-acre lot for a school and in 1870 they bought a one-acre lot for a sanctuary. 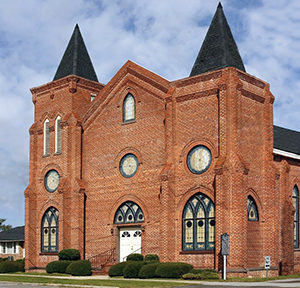 The first church here, a frame building, was completed in 1874. A second building was destroyed by fire in 1895. The present building, also of frame construction, was built in that year and later covered in brick veneer. 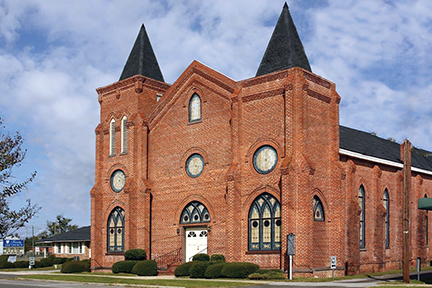 The Central S.C. Conference of the AME Church was organized here in 1921.